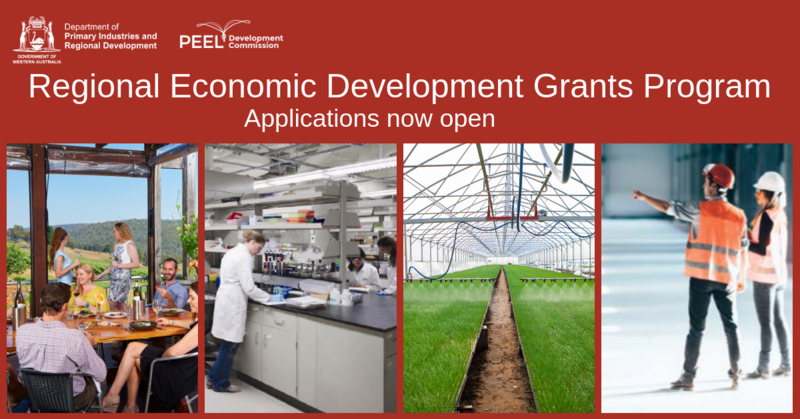 The 2018-19 Regional Economic Development (RED) Grants, round one, for the Peel region were announced by the Minister for Regional Development, Hon. Alannah MacTiernan MLA on 5 April 2019. Read the media statement here. The Peel Development Commission welcomed this announcement with more than $850,000 going towards seven projects for the Peel region in this round. The Forest Discovery Centre – funding for the preservation and upgrade of the Jarrah Forest Lodge. Mandurah Boat and Bike Hire – funding for new tour vessels. 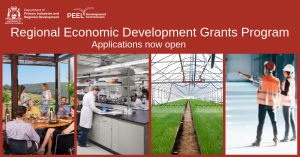 Manukalife – funding for manuka oil plant breeding and trial project. Mandurah Cruises – funding for a new boat enabling north Asian tourism growth in Mandurah. Smartstream Technology – funding to assist with relocation from Kewdale to Cardup. Cays Engineering – funding for the development of a paint yard to enable business growth. In total, $6.3 million was allocated for the first round of RED Grants to be evenly split across the nine Regional Development Commissions (RDCs) and all applications were assessed under a competitive merit based process. • Attracting new investment in the region. For further information on the RED Grants, please contact Simone Hutton on 9535 4140. To discuss the Local Content outcomes to be achieved with your project, please contact Tahlia Jones, Peel Local Content Advisor, on 9535 4140.